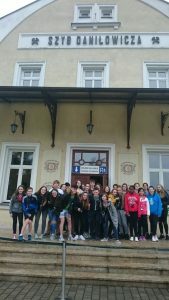 On the 18th of September Sligo Grammar School’s choir went on their very first trip abroad to Krakow, Poland. 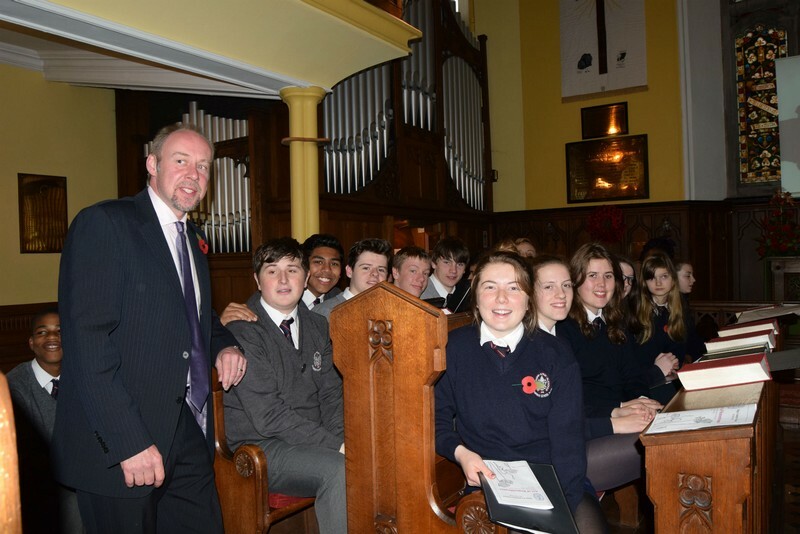 Twenty six students made the trip and were accompanied by Mr.Carter, our dedicated choirmaster as well as Mr.Potter and Ms.O’Neill.The choir performed in two concerts, one of them in a Cathedral in the centre of the city. 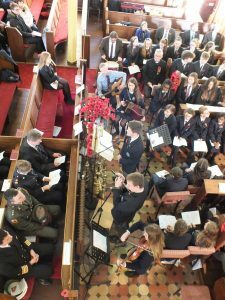 The audience as well as the choir throughly enjoyed the experience. 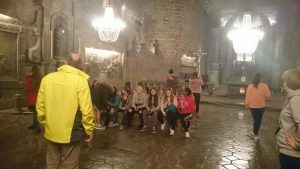 As well as preforming the choir were also taken to historical landmarks, such as Auschwitz concentration camp, the Jewish quarter, Wawal Castle and the Salt Mines where they preformed in the underground chapel. They also made an enjoyable visit to an activity park, a water park and a trampoline park. The students were very grateful for the opportunity to perform abroad and enjoyed every minute! Huge thanks goes to everyone involved. 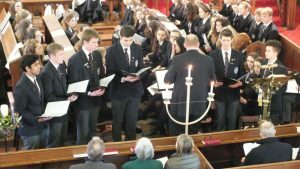 The Choir of Sligo Grammar School has been an important feature of school life for many years. 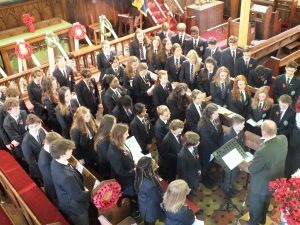 Every year they sing for the Carol Service, The Remembrance Service and The Prize day Service. Here are some photos from 2017/2018. 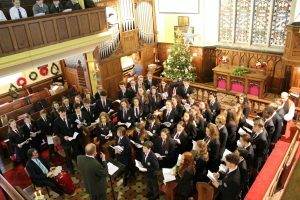 This year the choir has been particularly busy, singing for the School Prize Day and Carol Service, as usual, but also enjoying other outings. In January it performed on radio – the Ocean FM Francie Boylan Show which can be heard on our School Facebook page. The Special Service of Remembrance in November also saw our choir perform in Calry Church. 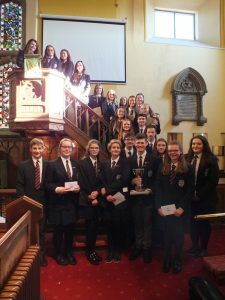 In April of last year the choir took pride of place at the second Gala Concert in aid of the NorthWest MS Therapy Centre and the School Music Department. They performed for parents, teachers and friends at the fundraising Boston Tea Party that was organised by the Parents Association and SGS Alumni in February. 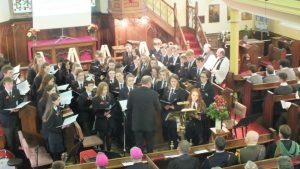 Sligo Grammar school choir as it currently exists was founded in the autumn of 1986 by Mr. Alfred Potter. Mr Potter is now taking a back seat, handing the baton over to Mr Jonathan Carter, although he will still be involved in the role of organist. The choir boasts some fine soloists and some very talented voices. They have sung on National television and radio, and have released 2 CDs. 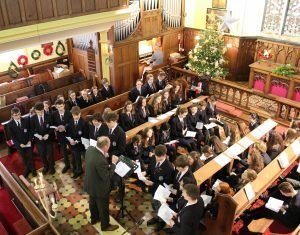 The second of which ‘What Sweeter Music’, is a selection of Christmas Carols from Sligo Grammar School.